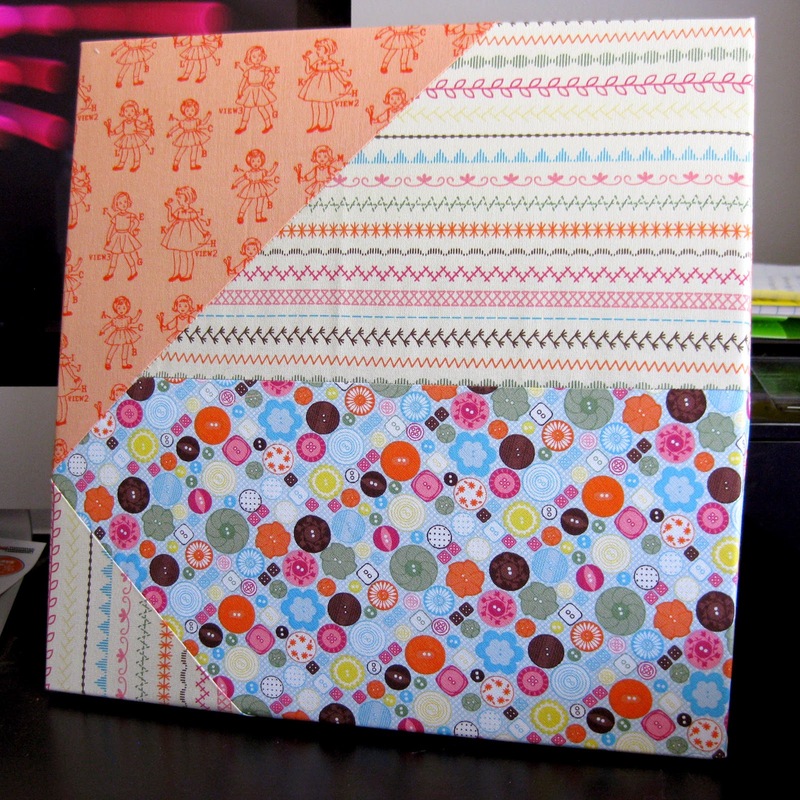 Today, I am working on a project that will (hopefully) help me be a bit more organized -- a fabric-covered magnet board. I have tried this project before using one cut of solid-colored fabric, but today I wanted a version that would be more interesting. So, I pieced it! I started with a simple cardboard-backed magnet board that I found on clearance at Target. 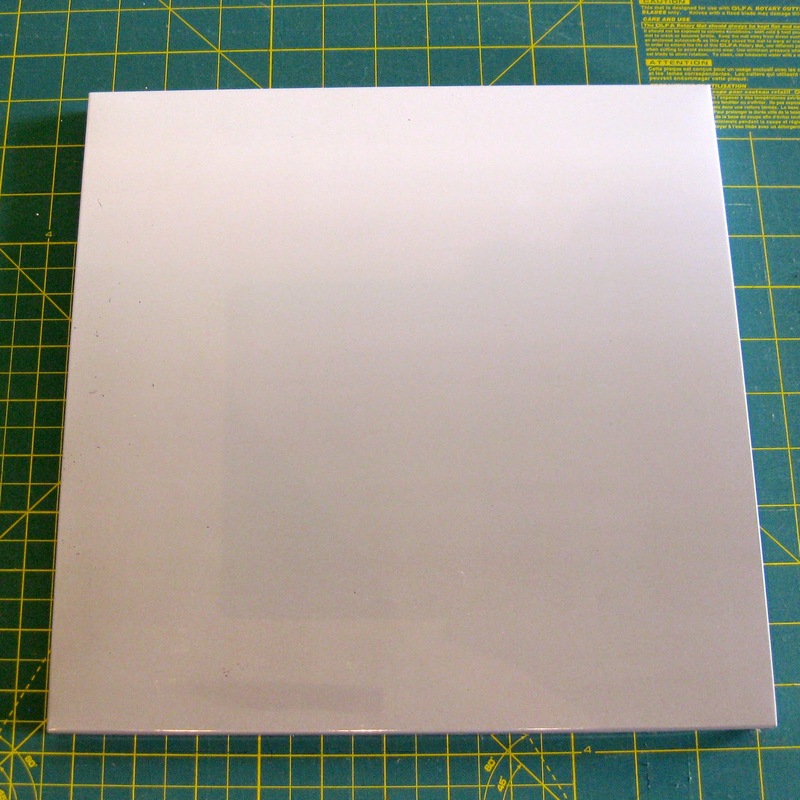 It is about 11.5 inches square. Choose your fabric. 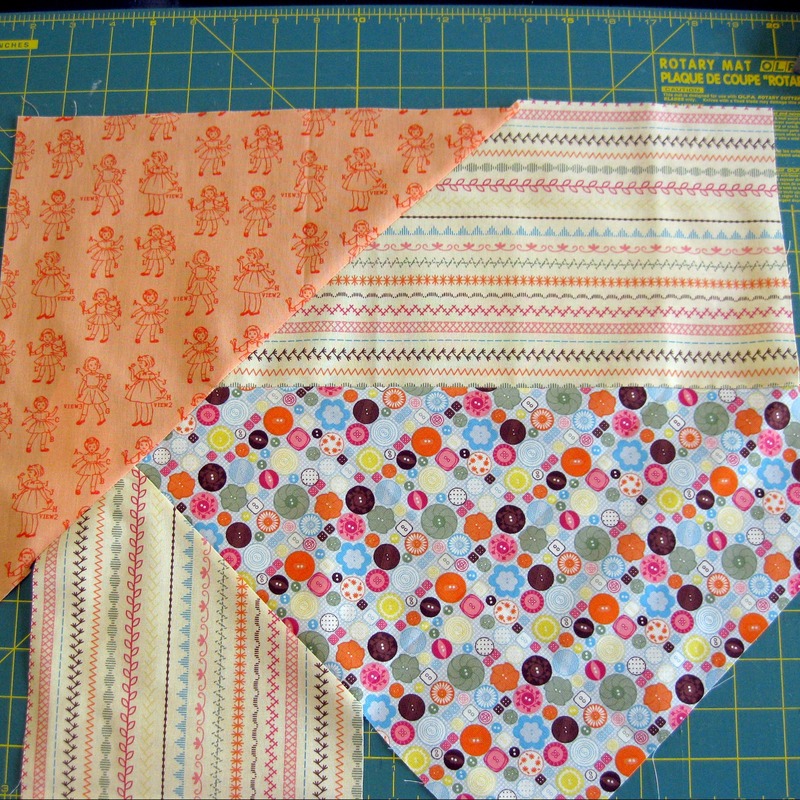 For my fabric, I chose three coordinating prints. This fabric is some that I got from Stampin' Up! They have discontinued their fabric, but several of the lines are still available on clearance. It comes in sets of three fat quarters and is currently priced at $3.99/set. Go check it out! Cut your fabric. Once I selected my fabrics, I cut them random sizes. I used 45 degree angles to make the piecing easier. Piece the shapes together until they are large enough to cover your magnet board. Remember, when you're piecing fabric, press your seams down after you sew each one. 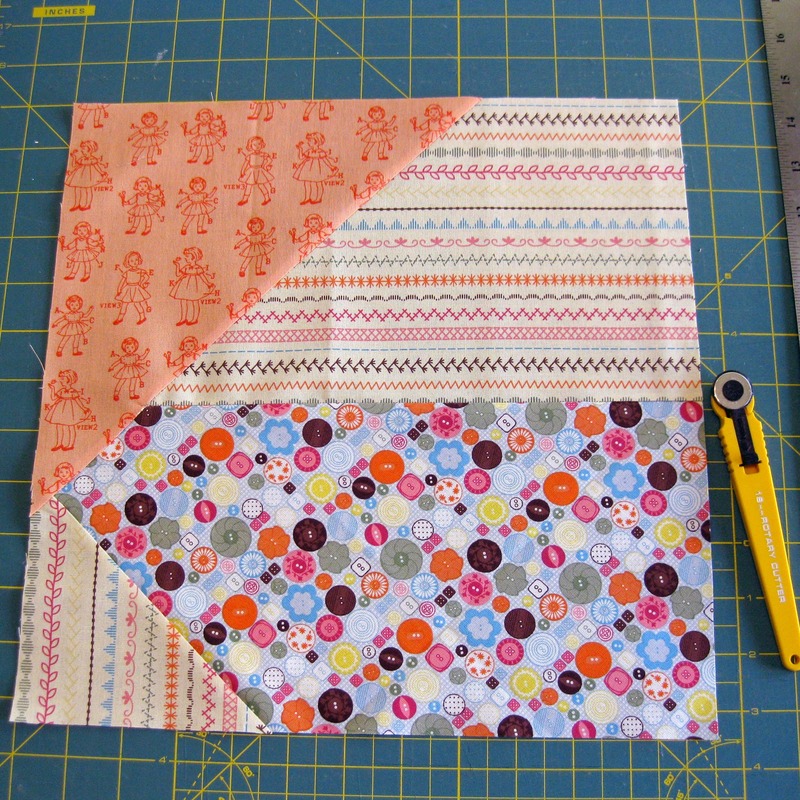 This will help the finished piece lay flat and makes it much easier to avoid bunching. Trim your pieced fabric down to fit across your magnet board. 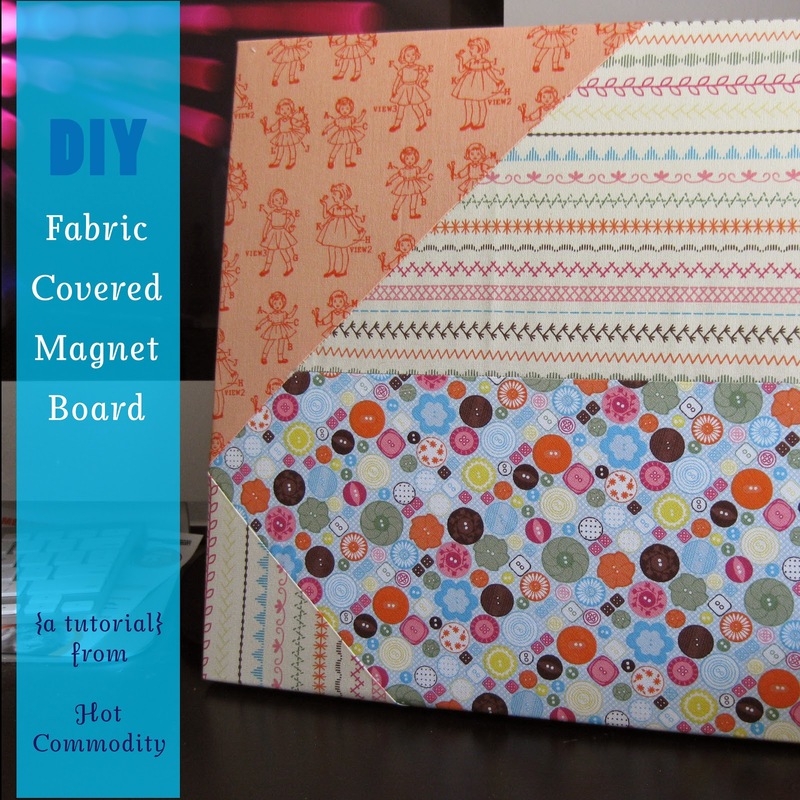 Be sure to take the sides of the magnet board into account and leave enough fabric so that it can wrap around to the back. Give yourself at least an extra inch on each side, depending on the thickness of your board. Attach your fabric. This can be the tricky part. Lay your fabric wrong side up, then place your magnet board face down on top of it. Do your best to center your magnet board, then pull one edge to the back and staple it in place. 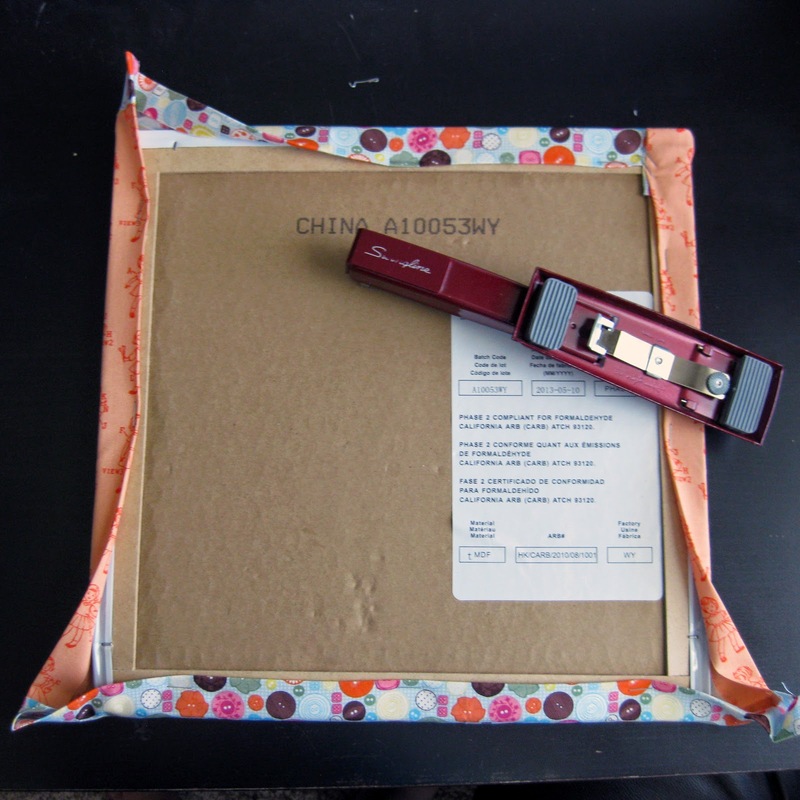 Make sure everything is still centered, then pull the opposite edge of the fabric to the back and staple that in place. This is just like upholstering a cushion. Make sure you always move to the opposite side for every new staple, pulling the fabric snug as you go. This should make the fabric evenly tight across the front of the board. For the corners, take your time! Tuck and fold until you can get the corners as flat as possible, then put in as many staples as you need to secure them. They don't need to be pretty on the back as long as they're pretty on the front! Rock it! Find somewhere to hang your new masterpiece and get some cute magnets to match! Super fun idea! totally pinning this! Linking up from the Weekday Mixer. This was a great tutorial! Thanks for linking up last week on the Bloggers Brags Pinterest Party! I'm featuring it on this week's party. Yay! Thanks Tammy! I'll be sure to add a featured button to the post. Love this :) I am sure something like this will be very handy! I will be keeping an eye out for a board to cover! I found mine on clearance at Target... I think it might've had a dent on one of the edges. Totally doesn't matter once you cover it! Thanks for stopping by!